“Like Seriously?!! Do people really live here?” These were but a few questions we kept asking ourselves during our recent outreach. 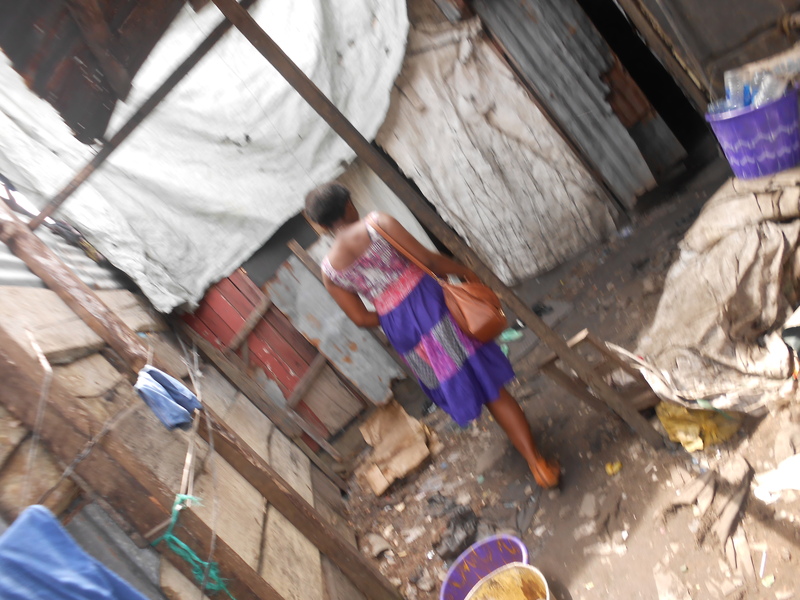 “Welcome to Dustbin Estate in the heart of Ajegunle, Lagos.” Put aptly, it’s a backwater of modern development whose residents sheer grit for life, high resistance to sicknesses and hope for tomorrow is a major factor in their survival. In every ramification, children in this environment qualify for support and our quest was to look for the brightest among them from the referrals we received from LOTS Charity Foundation, run by Ms Tolulope Sangosanya. Ifeoma Keke and Wale Adetona, our Social Worker and Support Worker, went to assess the children at Dustbin Estate, so that we could confirm those we will be able to assist. Ms Sangosanya had sent us referrals of ten bright children, who are disadvantaged in that community. We were surprised at the resilience of some, who despite living on a dump site hadn’t been ill for years, while others were frequently ill with malaria and other ailments. Pauline is a nine year old girl whose parents are separated. She lives with her mum and daily attends school as she hopes to become an accountant when she grows up. From our assessment, Pauline is very intelligent and is a sure candidate for sponsorship. Though her mother is not open to the idea of Pauline living in a shelter away from the dumpsite, as it would mean their separation, we believe that provision of educational support for Pauline would make all the difference to her and her mother. Shedrach is a nine year old boy who lives with both his parents. Having being pulled out from a local Private school for a Public one owing to financial constraints, Shedrach’s education and health are at risk because of his impoverished home environment. Unlike Pauline, who is generally well, Shedrach falls ill often with malaria. We will only be able to take these children under our wing, if we have the financial capacity to do so. So, we ask you to consider if you would like to sponsor a child with us. We are making more assessments each week, and can tell you more about any child you might be interested in. Please visit our GlobalGiving Project page to learn more and support our ‘Disadvantage to Advantage’ initiative. Thank you so much! Next Post September’s Newsletter is Out!! !